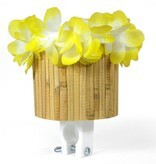 This super cute tiki bicycle drink holder fits most bike handlebars. 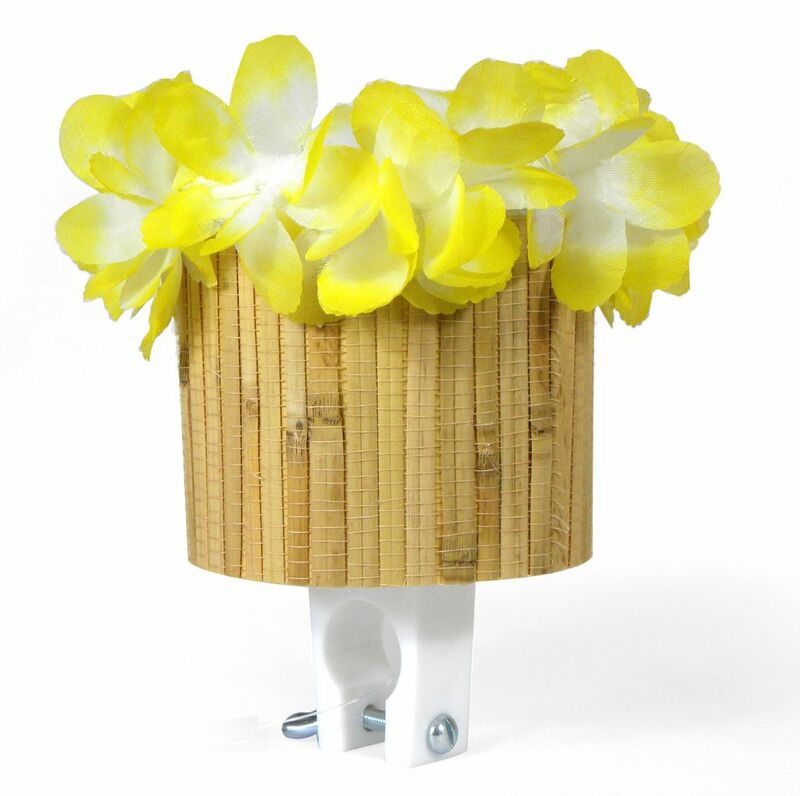 Features bamboo siding and floral lei that will be a perfect addition to your bike or beach cruiser. Designed and created in Huntington Beach, California.